In the U.S., the state (e.g., Kentucky, California, Texas, etc.) in which a baby is born makes a big difference in the likelihood for that baby’s happy and healthy life. 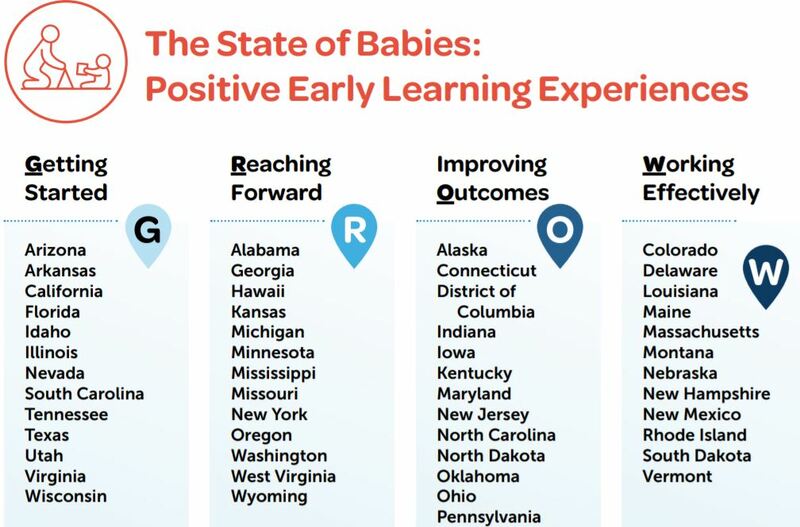 The “State of Babies 2019” provides state-to-state comparisons of the various dynamics that maximize or mitigate the opportunities available to families and their children. 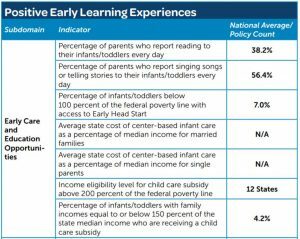 A complete version and an executive summary reviews each state’s baby-positive and parental-supportive policies. It also highlights the various elements that will create the context for maximizing each baby’s potential in his or her earliest years. 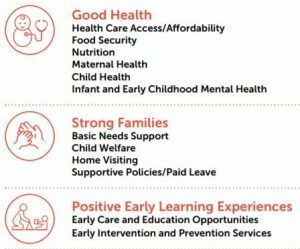 Each of the criteria shown here has been identified as a contributor to supporting families and their babies for optimizing every baby’s chances of a healthy and fulfilling first three years. My interest in this comparison focuses on the impact of positive family and baby dynamics as they relate to language and literacy development. As a lifelong teacher and teacher educator, this effort to provide tools for communities to positively influence their governmental representatives at all levels is a welcome asset for parents and educators in every community. The essential contribution of language and literacy to all other learning can be limited by a community’s quality of life. This doesn’t bode well for the nearly 25 percent of U.S. children who are born into families living below the poverty income level; this has an immense negative impact on families and their children. Thus, governmental efforts to eliminate the various impacts of low income can serve to minimize the limitations for children and are worth vigorous advocacy. The “State of Babies” data provide citizens of each state, as well as national leaders, with a means for identifying specific family and child issues within their communities, and for animating efforts to address them. 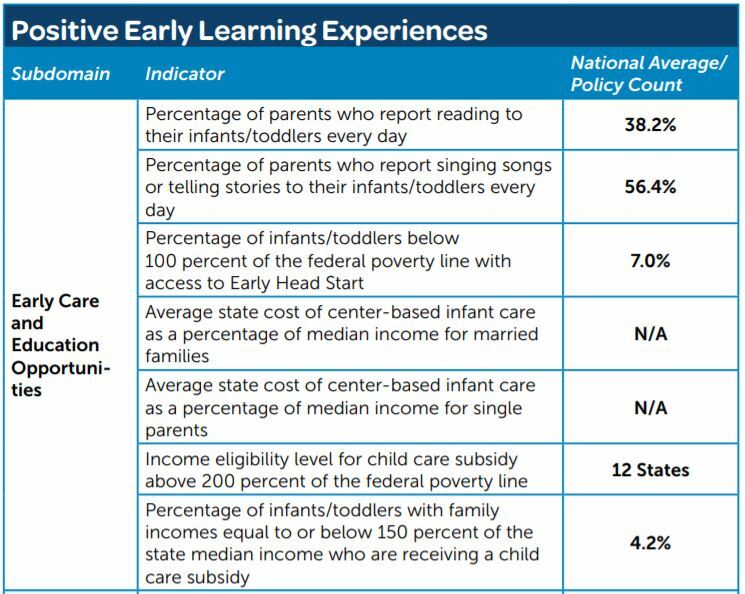 Families of infants and toddlers, especially if they have a below-poverty-level income, are unlikely to have the time, energy or resources for addressing these issues in their communities. 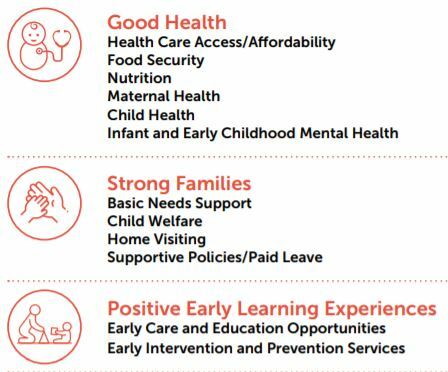 However, the rest of us, armed with straight-forward data about the critical features of positive environments for maximizing baby potentials, must commit to looking after the futures of our tiniest citizens and improving the health of our communities.